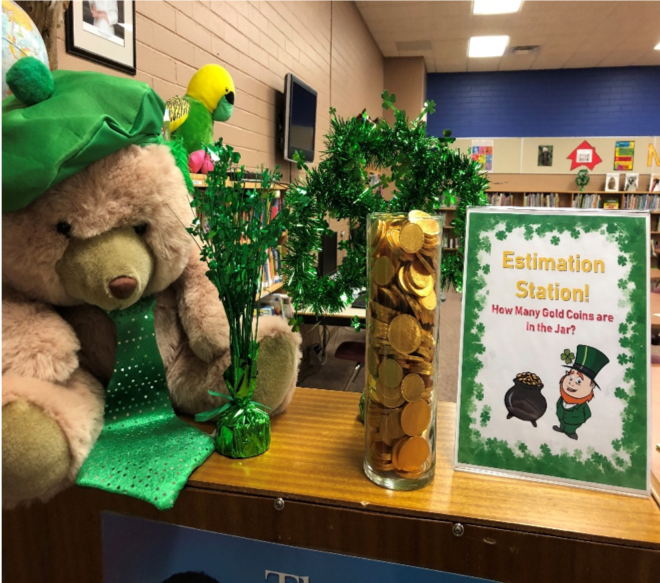 The monthly math mysteries were themed – Valentine’s Day in February and St. Patrick’s Day in March. 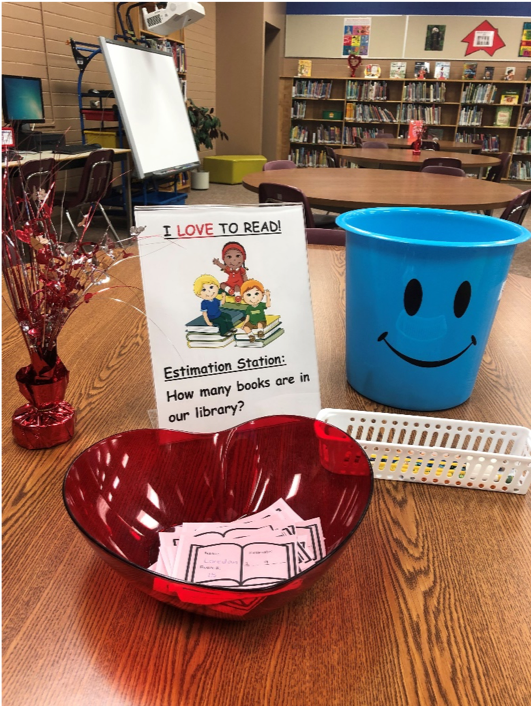 With several of our teachers implementing Esti-Mysteries in their classroom from math expert Steve Wyborney, teachers built from that idea and created grade-level clues to allow students to use math concepts to narrow the set of possibilities to a small set of numbers. From there, students called upon their estimation skills to solve the mystery and tried to find the missing number. Students with the closest estimate in their grade level grouping were recognized at our school’s monthly assembly and received a prize for their classroom.